Above images are of Maria Luisa Zancajo. 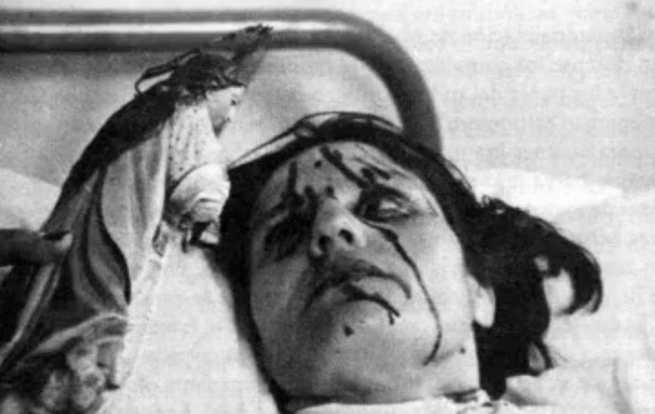 Top image is Maria Luisa with stigmata. Disabled and in poor health from her early childhood, this remarkable mystic from Madrid, Spain, rose above her physical handicaps to found an order - the "Missionaries of Charity & Providence" - dedicated to the care of the sick-poor with whom she closely identified. She worked side by side with her spiritual daughters in busily caring for the infirm, while also discreetly living an intense mystical life that was filled with Visions, Bilocation, Stigmata and frequent physical assaults from the devil. She died in 1954 with a reputation for sanctity among her congregation’s members and with the local populace. Please pray for her Canonization. [See/view] an interesting blog post rough translation from Spainsh about Maria Luisa Zancajo's suffering assaults from the devil. - August 8th 2012 A story that happened in Spain, similar to that of The Exorcist. It happened in Hellin, Albacete and was put under the magnifying glass of the Church. As caused a tremendous impact was hidden and silenced the subject. Iker Jimenez investigated the case for the Easter program 2003. The stigmatized in Spain suffered deep isolation for centuries. The Church kept apart as extravagant people showing strange signs of the Christian faith.One of the most unique is the Zancajo Sister Maria de la Mata, a nun from Hellin and main character of one of the most momentous cases stigmatized. After decades of obscurity, it begins to unravel, what really happened. A place full Mancha Castile, a woman completely normal and a film made panic Father Manuel Soria. A recording in 8 mm which remained for years in his library and he regained the researcher Rafael Campillo. He himself told the program that was without any expectation to see the movie and shocked him for life. With a foreword by Father Soria, it showed a woman and a horrifying facts as significant bleeding besides, he looked at one of the witnesses put your hand in one of the wounds. Literally exploding limbs and this product was the large amounts of blood that collected the other sisters of the congregation. Father Manuel Soria also wrote a book I am a witness, in which case narrated in detail the founder of the Missionary Sisters of Charity and Providence. Sister Mary suffered blows and insults of all kinds. Disturbances diabolical she called as made by "bald" in the particular vision of his misadventures. A terrifying aspect to be tall, hairless appeared to him. In fact, other sisters who shared life with this nun, said that indeed a hand that could not be seen taking her across the floor and up the walls, in the middle of screaming and crying, an immeasurable distress. The marks and sores were the confirmation of the suffering of this woman, who was considerably worse. Some nights a light like a fire that burns not focused and was drawing a heart on her sleepwear. He also suffered unexplained contortions as the head would spin up and tongue impossible limits were doubled inward, his eyes became white and wrists produce a popping sound as if would happen to break. Regardless of what does cause this, hysteria, divine or diabolical signal, this happened and for years no one knew anything. Her clothes burned were kept by the sisters of the fraternity. Nightgowns blazing fire burned for sometimes out of his mouth or a chair where he used to sit who suffered a spontaneous combustion in one of those occasions, were preserved as relics of the cream of the area. Today they remain in a museum which is not open to the public, but we speak of a transcendent event and really important for the whole group of sister missionaries. Acts that were not far from a story, but just the opposite. Violent events, totally divorced from the mystical spirituality, contemplative calm and that could mean in these places. 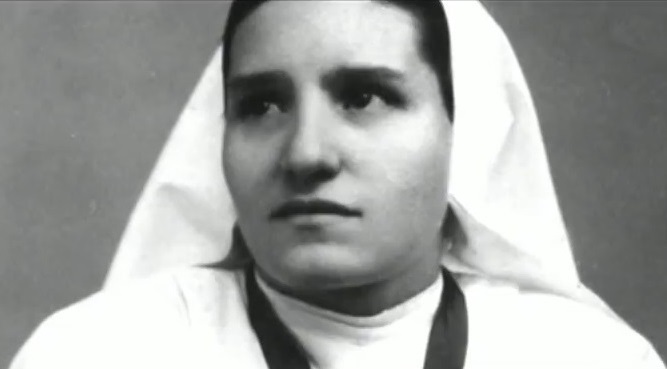 Sor María de la Mata Zancajo , one of the most extraordinary, unusual, less frequent and more secrets within the phenomenology of the stigmatized. See/view article [here] about Maria Luisa Zancajo.